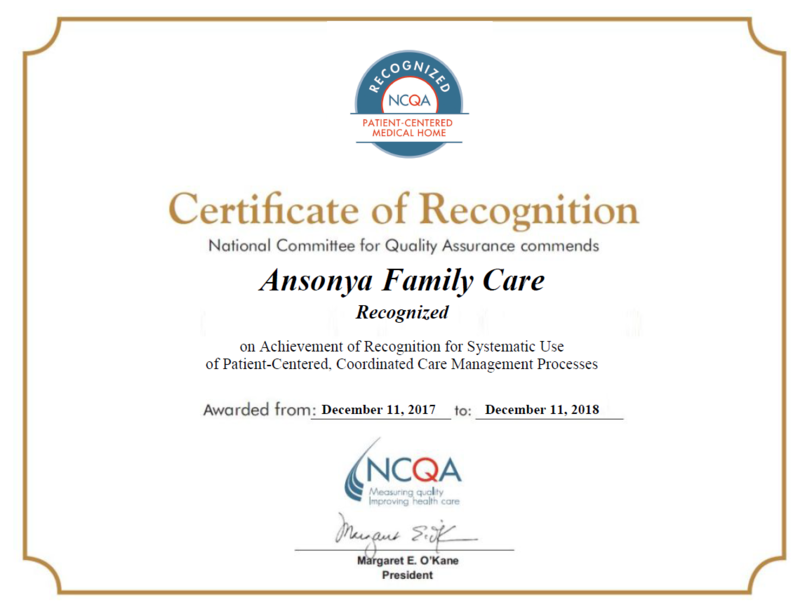 Ansonya Family Care specializes in treating patients of all ages from infants to adults witha wide range of health problems from minor illnesses to chronic medical conditions, like diabetes,high blood pressure, depression, COPD, asthma, high cholesterol, obesity and hypothyroidism. We value your faith in us, and will continue to strive for long term patient centered relationships through high quality patient care, enhanced communication, patient satisfaction and education. Our staff members provide services in an efficient and professional manner. We are dedicated to treat your family as we would want our own family to be treated. Copyright © 2015 ansonya.com. All rights reserved.